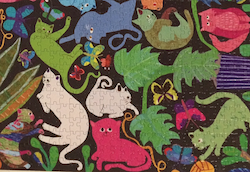 The eeBoo Cats at Work Jigsaw Puzzle was a complimentary gift. 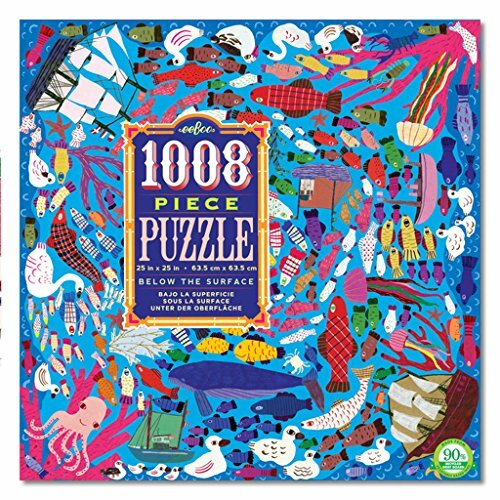 The eeBoo company located my Jigsaw Puzzle Connections Blog and sent a message to offer me 2 puzzles to assemble and review for them. 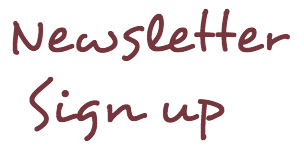 Board ALERT! 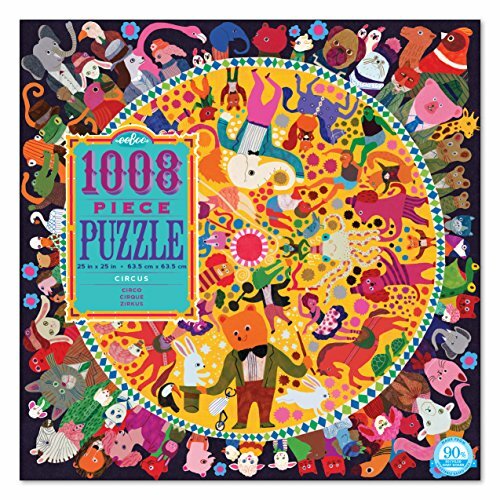 The size of this brand is 25 x 25" or 63.5 x 63.5 cm which means they do not fit on the 20"x30" foam boards that many puzzlers use. Personally I use 3 foam boards. 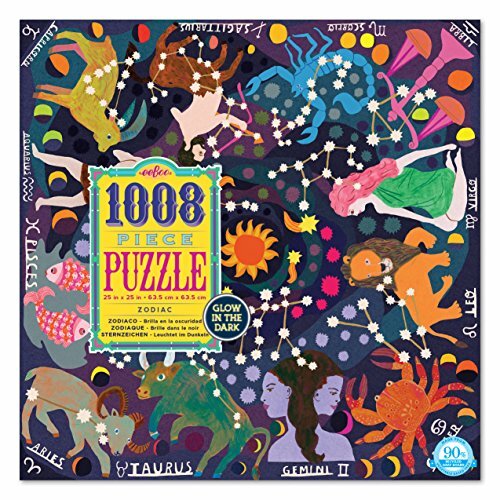 One for the actual puzzle itself and 2 for laying out ALL the pieces. 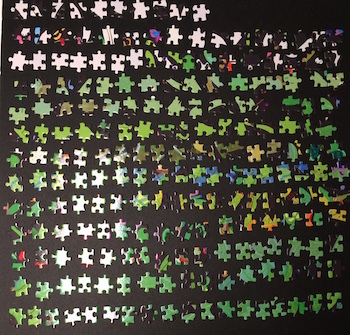 Each board holds about 500 pieces so you can kinda track how many pieces are 'left to go'. 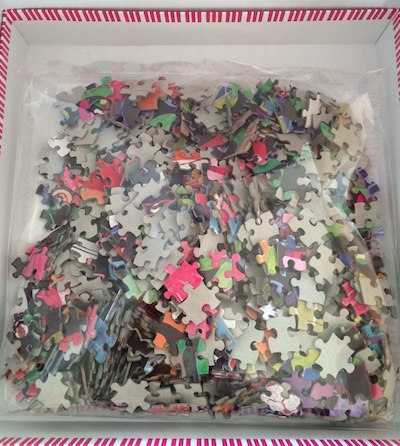 So I cut on foam board and attached it to the edges to accommodate the extra wide puzzle size. I started with the large patches of solid colors being reds, blues, greens, purples and oranges. 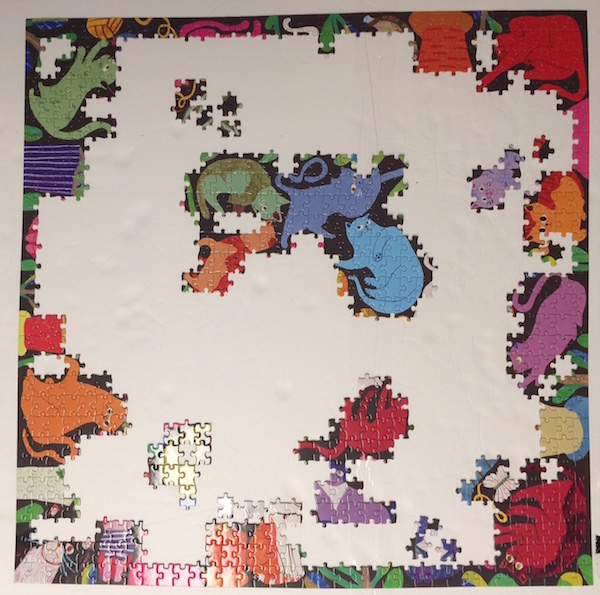 Then I built little mini-sections and placing them into the 'general' area of the puzzle image. 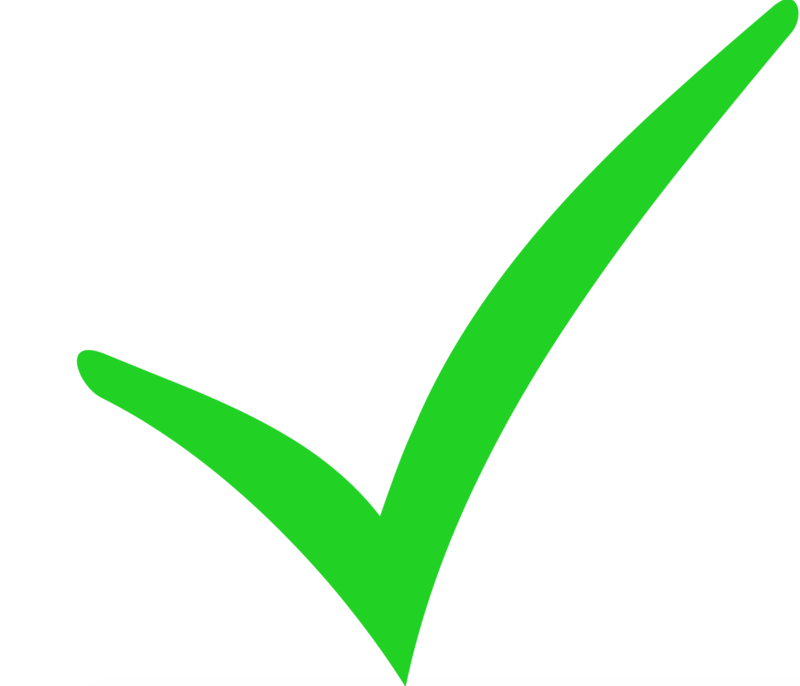 Soon enough the sections were joining together leaving the plantations and finally black background. 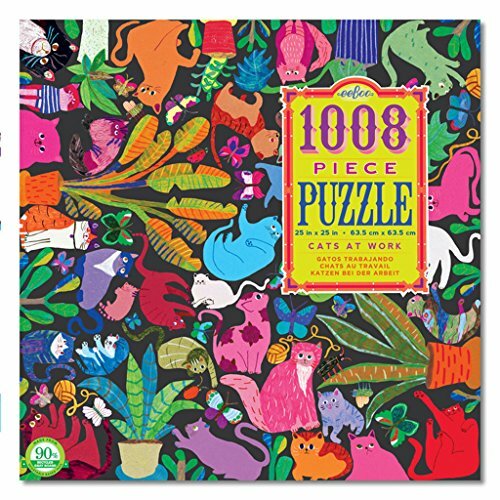 The eeBoo Cats at Work by Monika Forsberg was a delightful jigsaw puzzle to assemble.....it had all the makings of perfect puzzle pleasure. There were no negative experiences. 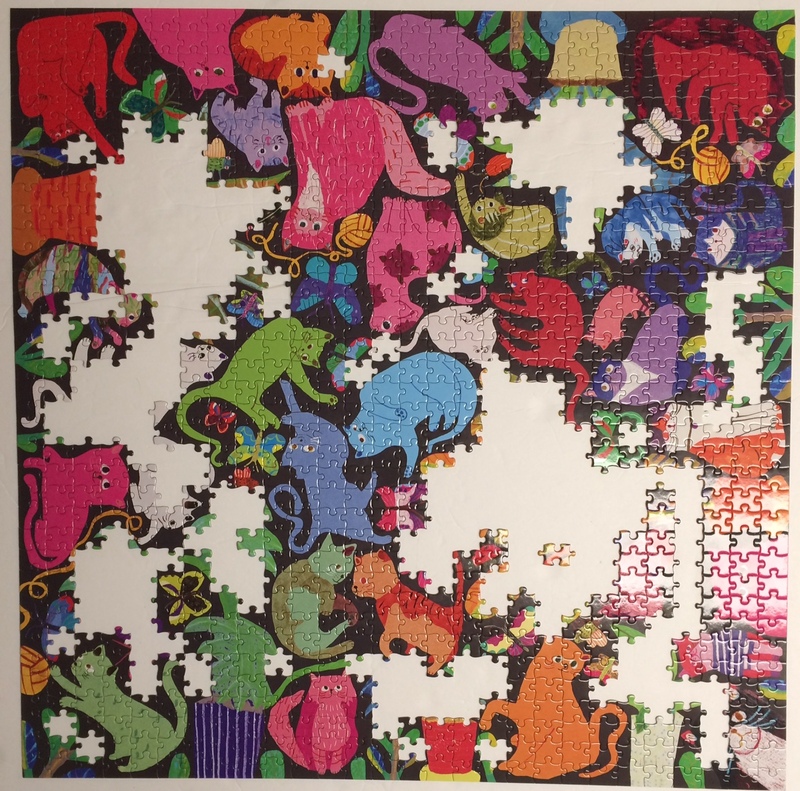 The fact that it appears to be 4-sides has that advantage for more than one Puzzler assembling it at the same time. 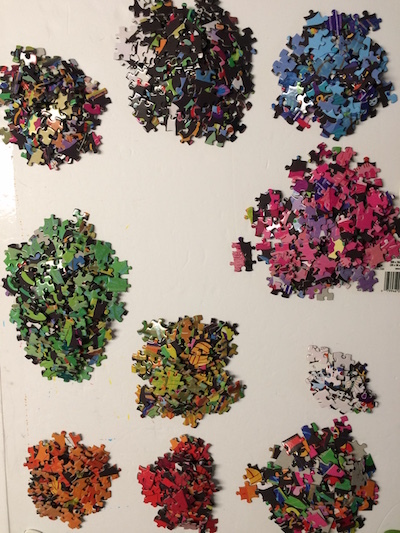 I always enjoy seeing other's close up photos of their completed jigsaw puzzles so I often do the same.....take a look at the images below and you can see the quality and shapes of the pieces. 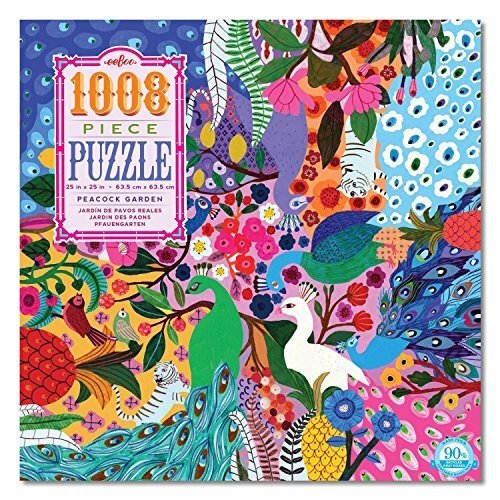 I recommend these puzzles for those who are deciding if they would like to try an eeBoo jigsaw puzzle or for those who are looking for a gift for the Puzzler on their list. 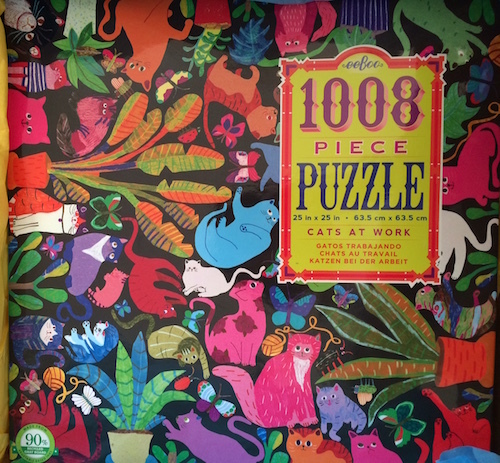 Special thanks to eeBoo for sending me this puzzle to review. I have assembled 2 eeBoo jigsaw puzzles and I have yet to have any disappointments. I highly recommend this one. 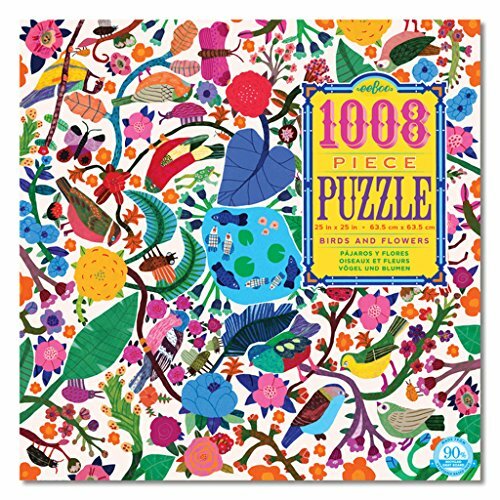 Also it has been highly rated as 'LIKED' in the social media jigsaw puzzle Groups. 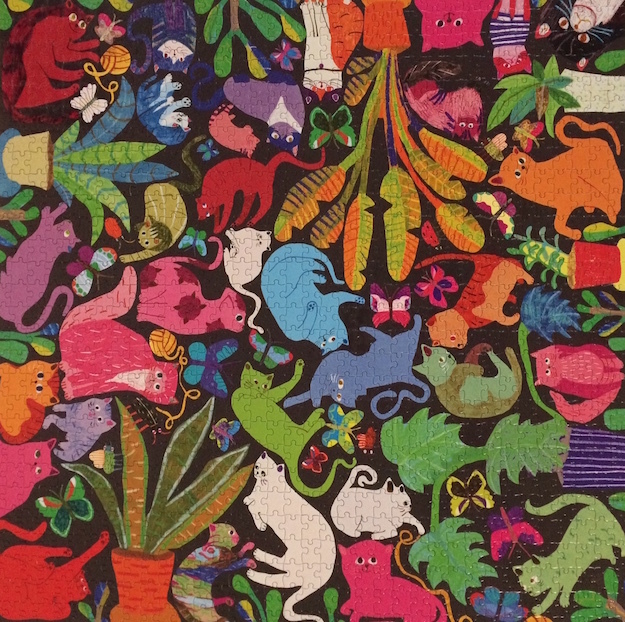 Here's an Easter Bunnies Jigsaw Puzzle for the whole family to enjoy. 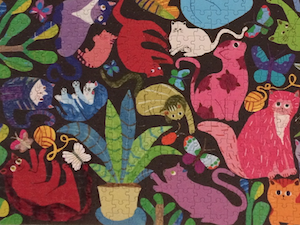 It's a new Cobble Hill Company puzzle that's sure to bring Spring!